Happy New Year from All Seasons! Use our January Tips of the Month to freshen up your garden for 2015! Save Water During the Winter Months – Adjust irrigation timers to ensure that you aren’t spending money on overwatering while plants are also getting rain water. Established drought tolerant gardens need little to no supplemental irrigation during winter, especially succulents which are more likely to freeze with water-heavy leaves. The maintenance crews at All Seasons adjust accessible timers for our clients to help save water. Protect Frost-Sensitive Plants – Check the weather for freezing night temperatures and move tender or young plants under eaves or indoors when cold weather is predicted. Applying a calcium-rich fertilizer can help to protect plants. Mature plants can be covered with old sheets overnight. WHEN TO TREAT: Treat plants after the leaves have dropped or before tender buds begin to emerge. Make sure not to apply treatments before rain, as they will be reduced in efficacy should they be washed away. Prune trees now, well before the buds and leaves expand. Roses need pruning in late winter once the buds swell and after the last frost. Fruit trees need pruning for maximum production. For evergreen hedges and shrubs, the best time to shear is in early spring before new growth begins. The new growth will soon hide the woody branches and soften the plant’s look. Prune late winter and spring flowering ornamental trees and shrubs after they bloom in the spring. 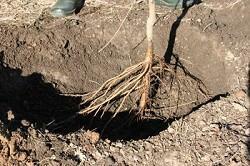 Bare-root planting season is here! They should be planted now when the winter rains will help them become established before warm spring weather brings on a burst of growth. Plants to select include roses, apples, pears, apricots, plums, cherries, and peaches. Check availability of these plants at your local nursery. 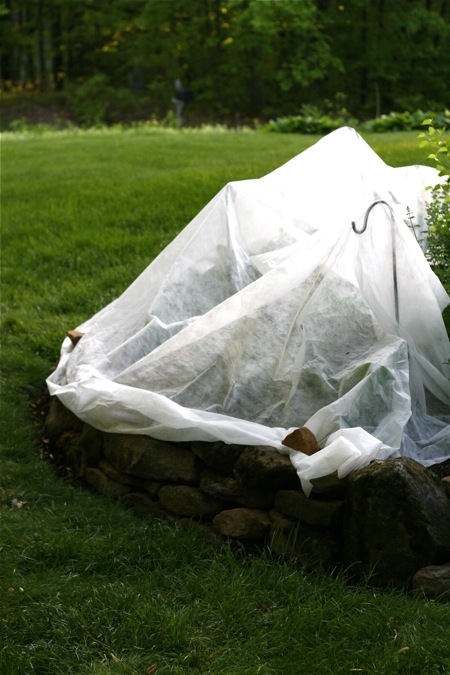 Replenish mulch to 2” thick to prevent weed seeds from coming up and to provide frost protection for plants. If you have a Christmas tree you’d like to recycle, lay long cut branches over perennials that are sensitive to frost for an extra barrier to cold. Comment to let us know if our January tips are helpful for your gardening this month and gardening topics you would find of interest in 2015!